ACCEPT’s guitar powerhouse, WOLF HOFFMANN, releases his second solo album today throughNuclear Blast, entitled »Headbangers Symphony«, completely dedicated to the grand classic maestros. To mark the occasion, the brand-new music video for ‘Night On Bald Mountain’ has been revealed today. Some ideas devised in a split second can work like a charm, and originally it was like – there’s no way you can do that… but I thought WHY NOT?! We had so much fun and it was party time from the first second onwards! I hope that the fans get it: a very hot summer night with friends and music and going a bit over the top… I wish you all could have been there! 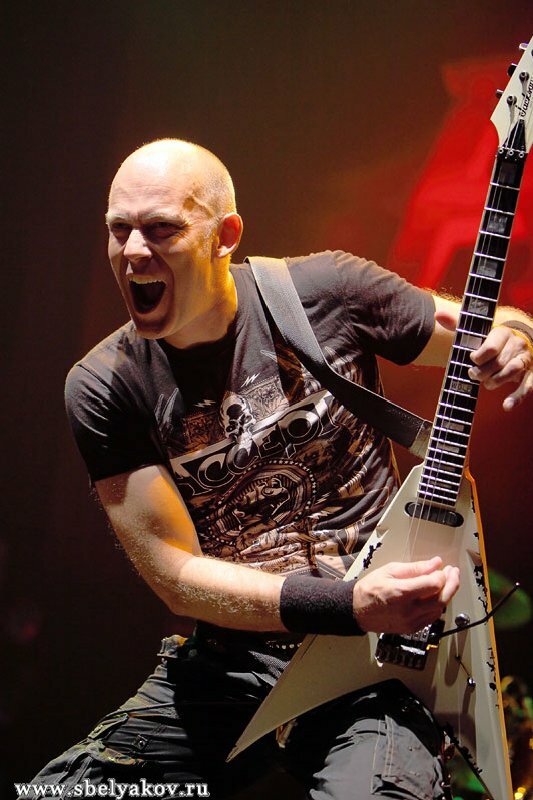 Wolf Hoffmann has a passion. His life-long love and dedication to heavy metal music is documented in dozens of albums spanning four decades with his long time heavy metal bandACCEPT. But beyond heavy metal, Wolf has an incessant craving for the classics, yes, the ones written decades and centuries ago. Classical music has always been an influence – albeit limited – on ACCEPT’s Teutonic approach to rock and heavy metal. However, it wasn’t until 1997 during a extended hiatus from ACCEPT, thatWolf Hoffmann finally had the chance to fully explore and fulfill this interest by recording his first astounding solo album »Classical«, a record filled with his rock guitar driven interpretations of some of classical music’s most loved compositions. I have always incorporated classical music in my songwriting with ACCEPT, especially with »Metal Heart«, but I constantly felt there was so much more that I could do and I did not want to overload ACCEPT or force it in any way. I always knew I could make a whole record of it and that’s how the first record »Classical« was born. Even today, fans tell me that they are still listening to it, that’s why it is so fantastic now to do another one. »Headbangers Symphony« is truly a bold statement by a genuine musician who simply refused to rest on his laurels and continues to push and challenge himself.